Click to expand for better viewing. I snagged a photo of some of the corn a few days ago...this is not as bad as some, and not as good as other. Some corn I have seen has ears, other has underdeveloped ears. And still other corn didn't get far enough along to have any. I cannot help but think of the stories from the dust bowl years. I guess a few places around had some showers but none close here. I made 3 quarts of tomato juice today. That makes a grand total of 6 quarts and 1 pint. Even if I just have enough for a quart, I am going to make it. It is just so good in the winter....the stuff that is bought just does not compare to what is homemade. The warning at the top of blogs has miraculously disappeared. I am glad. And hope it doesn't return. Sad to see what the heat and drought has done to the corn crops this year... They say the prices in the grocery stores will just continue to rise and rise... GADS! My poor hubby has been cutting farmer's corn stalks to feed his horses. The grass is gone and hay is scarce. Love your header. That is so sad. I really worry for our situation. The corn down here isn't quite this bad, but there's no doubt many parts of the country badly need rain (but not the bad storms that often come with the rain). The corn looks like that here too, I feel so bad for the farmers that lost their corn. Our neighbors corn was saved by the last rain we had and his pasture and hay fields are doing great tho. it's no way as high as it should be at this time of year up here. Such a terrible summer and the prices just keep going up! 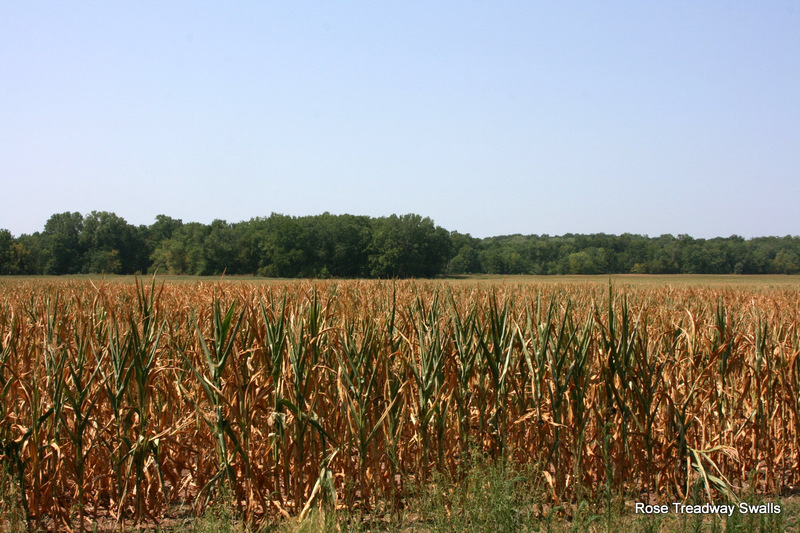 It is sad to see the corn in that condition. The fields here aren't that bad yet. The tomato juice sounds so good. You will really enjoy it this winter. Our corn looks the same down here. It is so sad and hard on the farmers and on the pocketbooks of all of us with such a poor crop. Guess I missed the warning at the top of the blogs. I haven't been on my computer much.